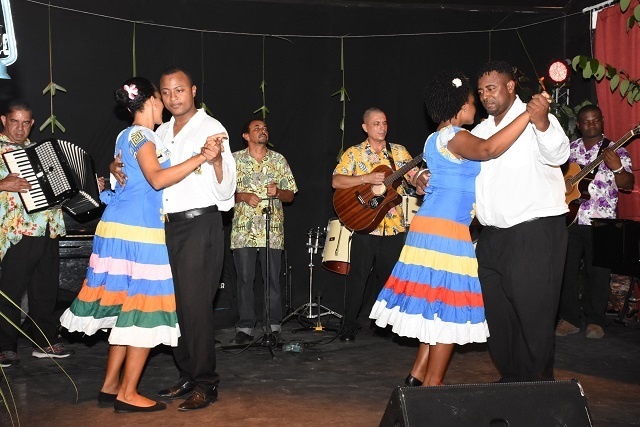 (Seychelles News Agency) - A new book and DVD that just launched will provide people interested in learning the traditional local dances of Seychelles the opportunity to learn. Aimed at creating a standard by which competitions will be judged, the book is called ‘Standardizasyon Ladans Tradisyonnel – Ladans Senp,’ or “Standardisation Traditional Dance – Simple Dance’ in English. “We have noticed in competitions that some people are not satisfied as the style of dancing differ from group to group. We want to have a standard on which we will be able to judge performances,” said Cecile Kalebi, the principal secretary for the Department of Culture. She explained that the book will be used to judge mostly national competitions organised either by the Department or CINEA. The book, a product of the Department of Culture in collaboration with the Creative Industries and National Events Agency (CINEA), will be optional for contests held at community or district level. “The standardisation of traditional dances hasn’t been put in place to do away with the variations that exist in different districts. However, if we want to bring our dance to the level of other dances, we need this as a form of formalisation,” said Kalebi. She added that the book will also help to provide explanations should a participant in a competition not agree with decisions made. Work to start standardizing the traditional dances of Seychelles through a book started in 2015. The book is part of a series and the first volume focuses on traditional dances such as ‘Kotis an glisan’, ‘Polka’, ‘Vals’, and ‘Mazok’ among others. Instructions to the ten dances featured in the book are illustrated and the position of the hand, feet and posture are clearly visible. To facilitate learning, trainees can watch the accompanying videos which provide step-by-step instructions. “People will be in a position to send the materials to family and friends overseas, who on their behalf will be in a better position to self-teach,” said the chief executive of the CINEA, Galen Bresson. He added that the agency will do its best to make sure that the book is always on sale and available. The book is on sale at the Seychelles National History Museum once it opens at $15. It can also be purchased by contacting the Department of Culture on +248 4321333. “We are also looking at the option of making the book available online so that people will be able to download it but since there is a production cost for the filming of the videos, we will have to sell them,” said Kalebi. 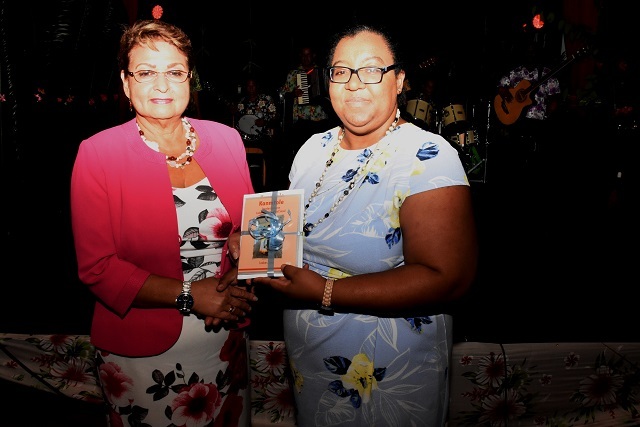 Launched to coincide with the 33rd Creole Festival which officially opened on October 26, the book was put together with the help of traditional dance tutors, the youth and the elderly. “Each time an amendment was made in the book, this group of people was informed of the change to make sure that we had the consensus of the majority of people,” said Kalebi.